A new report from an Arizona Supreme Court task force explores the costs of pretrial penalties, fees, and cash-bail policies. “Who pays?” could be the underlying theme for a new report out of the Arizona Supreme Court task force Fair Justice for All. One of the vital topics it examines is the inequities that may exist in a system of cash bail for those awaiting trial. An Arizona Republic story describes the task force report. One of the report’s recommendations would be to move toward a risk-assessment approach in terms of bail. Already in use in some other states, the assessment would determine an individual’s danger to the community and his likelihood to return for hearings and trial. Critics say the current system more accurately assesses the depth of a defendant’s bank account than the more relevant questions. The task force ultimately made 65 recommendations. The full report is here, and more detail about the report and its process is here. As you’ll see, the report examines the effects of court fines, fees, and penalties, as well as pretrial release policies. I’m currently in conversation with a potential author who would write an article for Arizona Attorney explaining what this all means. More to come. 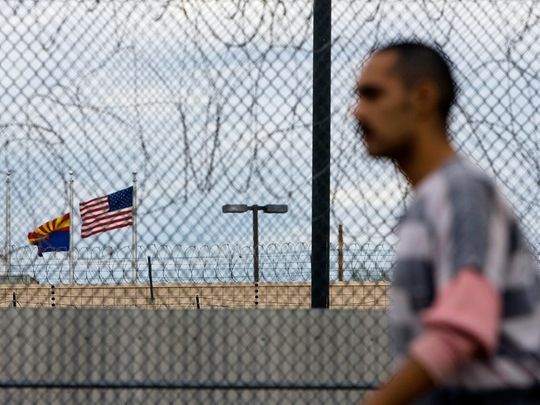 You should read that report here, as it well examines the additional penalties that follow a previously incarcerated person after release and return to the community. That is the other side of a coin being written by the Arizona Supreme Court, about the cost of pretrial penalties. 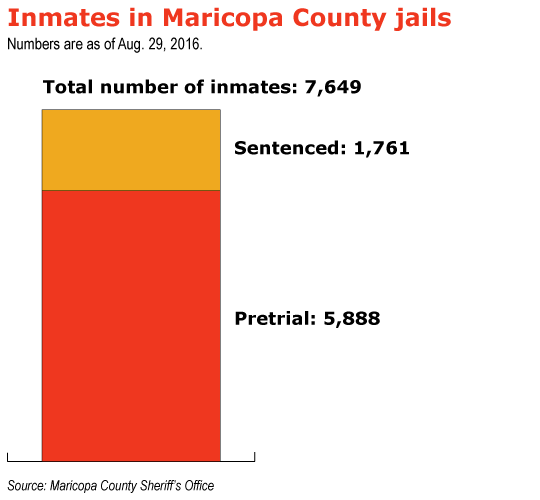 A graph offers data on how many unconvicted individuals are held in the Maricopa County jail system awaiting trial.